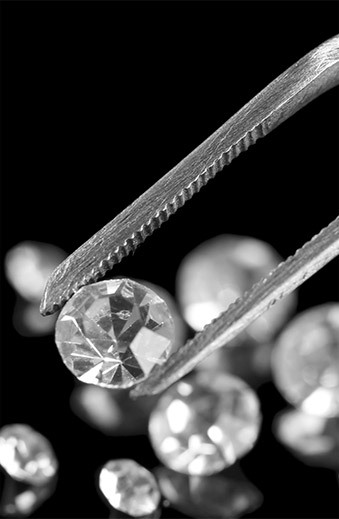 Bergstrom Studio guarantees that our diamonds are conflict-free. That means no one was compromised or hurt in any way for the diamonds that we sell. We demand from ALL of our diamond suppliers that diamonds delivered to Bergstrom Studio have been purchased through legitimate, “Conflict Free” sources. A written warranty is required for every individual diamond shipment. In a global business-like jewelry, we feel that as “Your Personal Jeweler,”our commitment to community extends to the world community. We have a zero-tolerance policy. That means we will not knowingly offer conflict diamonds for sale. So that we can ensure this, a written warranty is required for every individual diamond shipment. Whether you are looking for a piece that is ready-made or you want something custom created just for you, we do our best to provide the services you need in an intimate, boutique shop. And all our jewelry is guaranteed to come from the best and most reputable sources.